The Historical Preservation Foundation of the Native Sons of the Golden West (“HPF”) started the New Year much like it finished the previous year: busy. Let’s start with the Grand Parlor wrap up. The room was active with many visitors with stories and projects to discuss. 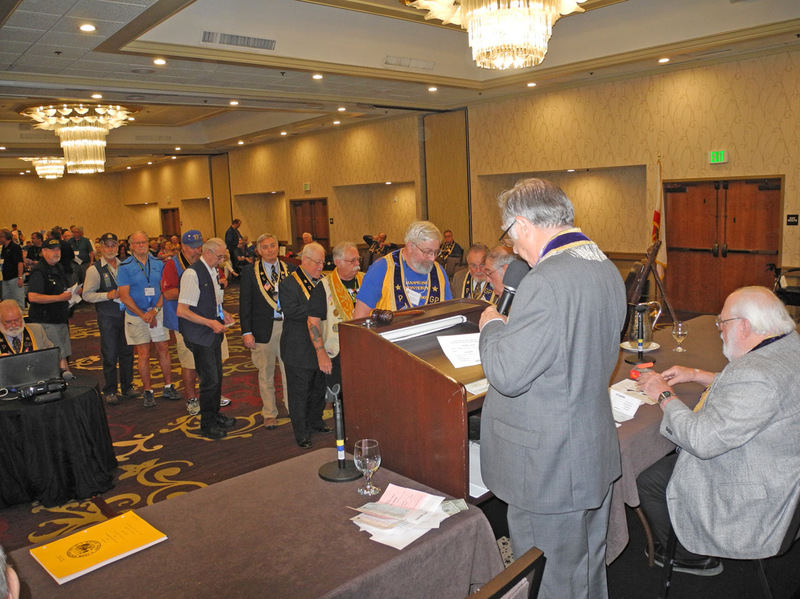 The HPF was able to bring $26,247 into the room which was generously donated by 24 parlors and 16 individuals, with 10 parlors and one individual joining the $1000+ Club—but all donations are greatly appreciated. At the most recent meeting in Sonoma during the Flag Day festivities in June the HPF reviewed three more projects and funded them all. Led by Sonoma Parlor #111 and the city of Sonoma, the HPF will join forces with Sonoma Parlor and others to fund a new statue of General Vallejo which will sit on the square in Sonoma. It will be rather unique in that a tourist will be able to sit and visit with the General on the park bench. The HPF will also donate to the Pasadena Playhouse toward the restoration of a neon sign outside the theatre. The Playhouse has been designated as the official theater of California and is listed in the National Historic Register. It is also part of the Pasadena Playhouse Historic District. With its being located on Colorado Boulevard, who knows, you might be able to see it on TV during the Rose Parade. This came from Grand 3rd VP James King who was not even a member of the HPF Board. 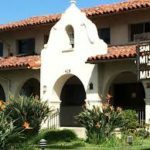 The San Gabriel Historical Association requested funds for the painting of the San Gabriel Museum which is located in the Bovard -Wilson-Hayes House built in 1887. The house was dedicated by Ramona Parlor #109 and Grand Parlor when Tom Sears was Grand President. This project was sponsored by Rio Hondo Parlor #294. With any foundation, there is that constant pressure to solicit donations toward its mission, and funding is the big dog in the room. But with only 26 (two more have since contributed) of the 75 parlors and 16 individuals donating, the HPF can only supply the funding it has available. One of the goals for the next several years is to increase the visibility of the HPF and increase the donor base, inside and outside of the NSGW. 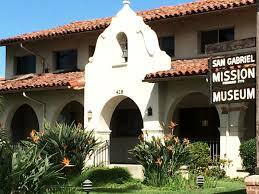 The possibilities to assist in the preservation and recognition of California history are endless. Unfortunately funding is not. The HPF plans to contact all parlors who have not donated previously to solicit donations. Some parlors have ample funds and some do not, but whatever is available is the right amount. The purpose is to get 100% commitment from all parlors so that can be added to the credibility of grant requests in the future. 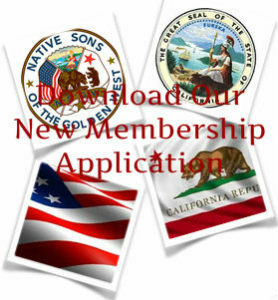 Not only is the HPF committed to the preservation of California history, the Native Sons of the Golden West as a whole will be committed as well. Currently members of the board are working on a program concerning the HPF which will be available for presentation to any parlor that wants to learn more about the operations and mission of the Foundation. Now for the whale that is still off shore. 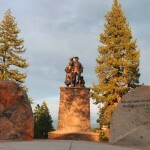 Within the past week of writing this article a meeting was held in Truckee with Sierra State Parks Foundation concerning the Pioneer Monument at Donner State Memorial Park. On August 22-23 a crew of engineers will be examining the monument. This final study is being done under the auspices of California State Parks. 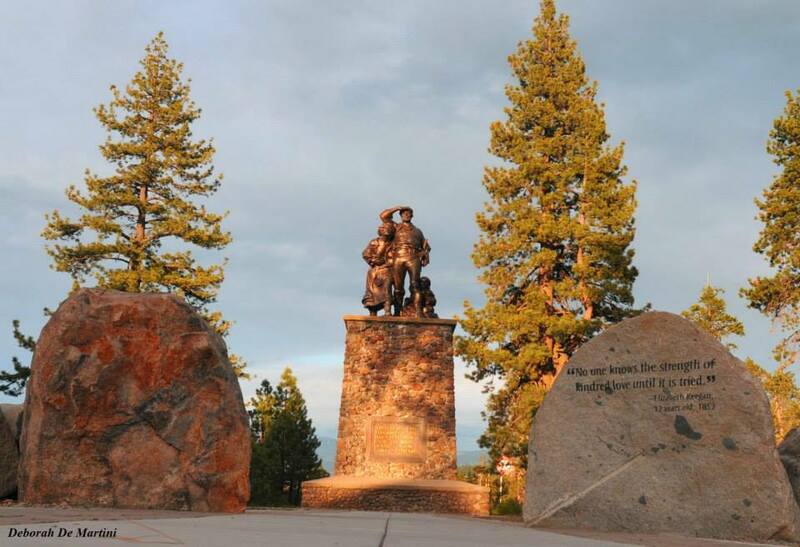 By October of this year there should be a final report on the restoration of the monument which will give the HPF and the Sierra State Parks Foundation a targeted goal of funding required to restore this monument. To add more complexity to this, my understanding is that there is a bond issue coming up in November concerning the backlog of deferred maintenance to California State Parks. To add more, the prep work for California budget cycle for 2017-2018 will be started in earnest at the beginning of new year. These will all impact the state supported funding for the Pioneer Monument. For you and I tomorrow is the next day, for the state of California tomorrow could be a little bit later, but that won’t stop all of the preliminary work that is necessary. The HPF has been nosing around the park in Truckee for several years and now there is a very capable and important partner that we have joined forces with, that being the aforementioned Sierra State Parks Foundation (www.sierrastateparks.org). This Foundation is a separate entity that runs all of the bookstores and does all the fundraising for the Sierra District of State Parks, which includes other parks such as Emerald Bay, D. L. Bliss, Sugar Pine and others. This is a still-evolving project with many layers, but it was the Native Sons first major project and that is why this is this one is so significant, but more importantly, it is part of our mission. The Native Sons built this monument in 1918 and we plan to be part of the team for its restoration 2018. Stay tuned and be prepared.